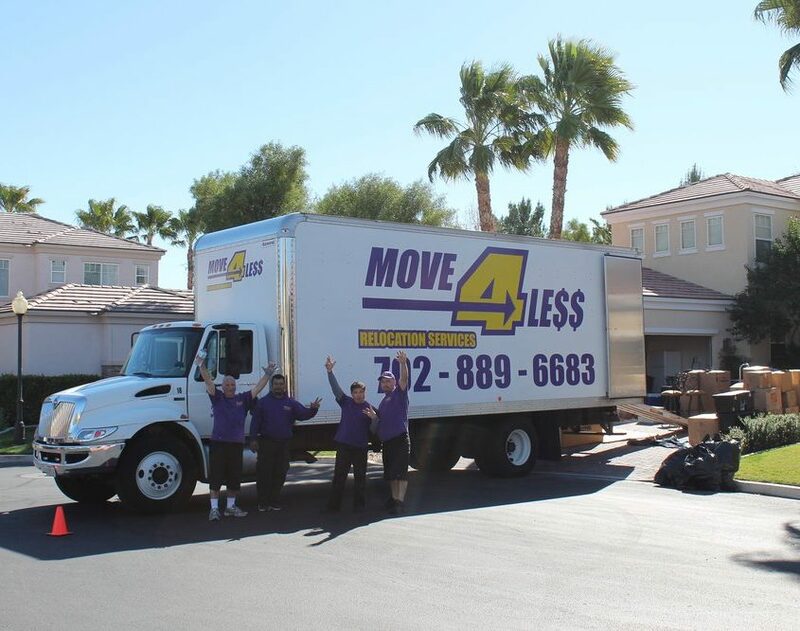 Move 4 Less has been helping families, businesses and nonprofits make local moves in Las Vegas and Henderson for over a decade. Our clients have trusted our movers to deliver reliable moving services for over 5,000 moves in the local community every year. If you’ve never hired a local Las Vegas moving company before, here are some of the biggest reasons why locals trust us to do the job right. Move 4 Less is locally owned and operated in Las Vegas. We not only know our way around the diverse neighborhoods in Vegas, but we’re also members of the community. We love it here and we treat every customer like a member of our extended Vegas family. We donate the use of our trucks and services to worthy local organizations every year. For example, we help US Vets and the Salvation Army Veterans Services to help relocate veterans to their new homes. We help out with food drives, the annual 98.5 KLUC Toy Drive, and local homeless and rescue mission services. Las Vegas is our home and we want to help others, including newcomers, to know what a great place it is to live. Our local moving services are fast and affordable. With lots of trucks in town ready to service you, and with our knowledge of the area, we get you there fast, and take the hassle out of your move. Order just a truck and driver/loader for a basic move (you do the packing), or we can do the packing for you, disassemble furniture and appliances and help you unpack at the new place. Homes, apartments, senior living facilities, we do them all. We’ll do a free quote and go over all your options before you decide. Moving your business to a new location can be a huge project, especially if you need to move a lot of equipment. Our team will help coordinate and plan the details of your move for minimal interruption of your business services and to protect and deliver your items so they can be back up and running right after the move. With lots of experience we know that electronics and computers need to be properly packed and stored for the move to avoid any bumps. 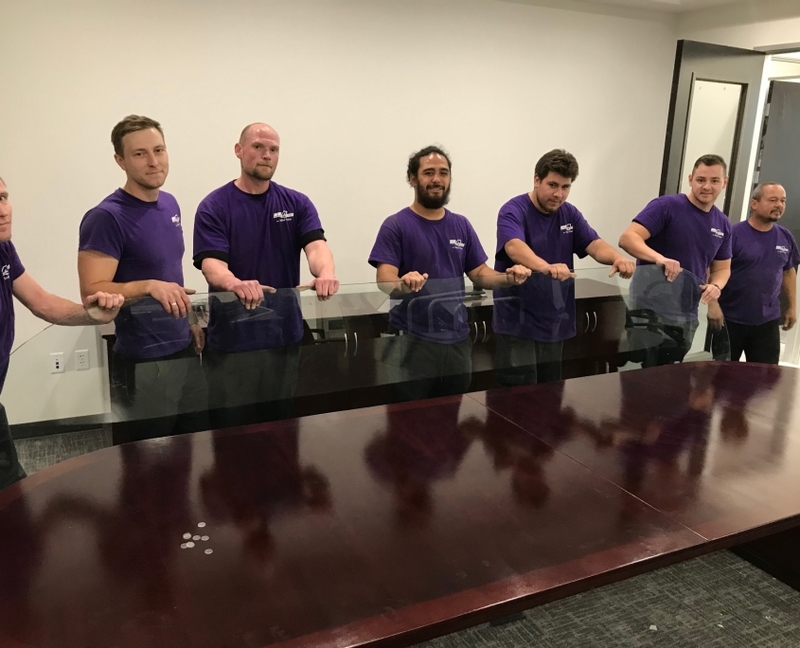 Expensive equipment, bulky conference tables, filing systems, glass display cases and other items require extra care and knowledge, and we’ve handled them all. We can even help take down signage, video equipment or other installed items and move them to your new location. We’ve helped businesses big and small, even hotel/casinos with business relocations, internal moves, reorganizations/remodeling, convention floor set up/take down, and facilities expansions. Helping your business succeed is how Move 4 Less succeeds as well. The economy is booming in Las Vegas and more people are arriving and moving into our high rise towers. It takes special knowledge with the rules of high rise living to be able to qualify as a high rise mover. Move 4 Less is authorized by our major local high rises to carry out move-ins and move-outs (not all of our competitors are authorized for these moves). We coordinate with on-site management to move you in or out of a high rise in as little time as possible, while complying with all types of guidelines and regulations. We’ll even handle the paperwork for you! Move 4 Less is an approved vendor for many of the most famous high rises on the Strip. 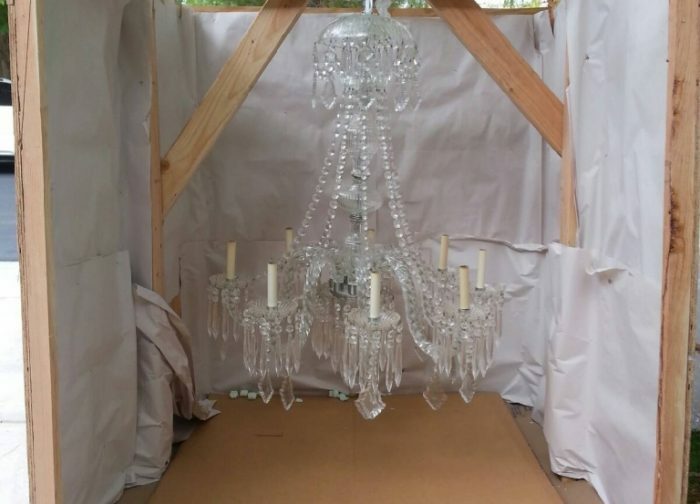 Have you ever thought about how you would move your favorite chandelier from your home or business to a new location? We have! In fact, we’ve done it. If you need specialty items like fine art pieces, sculptures, pool tables, antiques, bulky exercise equipment, safes or other items moved, Move 4 Less probably has experience moving it already. We know how to do it safely and effectively, even if you need the object moved up an odd staircase or to a location with tricky access. You wouldn’t believe us if we told you how many pianos we’ve moved for people in the Las Vegas and Henderson areas. Big, bulky and valuable items are not a problem for Move 4 Less. If you’re leaving town, we can get you on your way. We also service Southern California with affordable moves in either direction. We can also help you with Reno and out of state moves, or with short or long term local storage if you’re downsizing or undertaking a temporary move. Boxes and moving supplies, locksmiths, junk hauling, we do it all – ask us for help with any move-related needs you have. Check out our reviews online or give us a call for more information. Move 4 Less is your one-stop, trusted Las Vegas mover. Contact Move 4 Less today for your free moving quote!